On Friday, October 16, HVA welcomed over 40 University of Nevada, Reno (UNR) students to our facility. 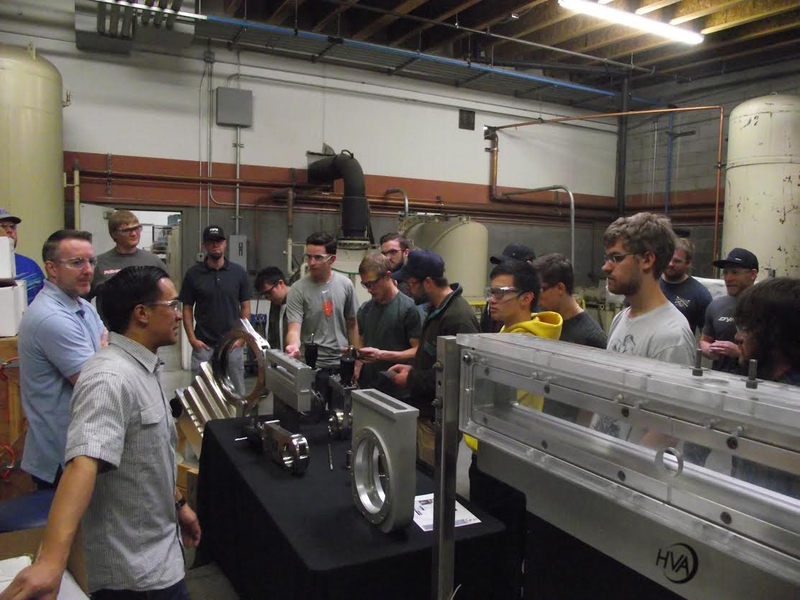 The students (all of whom are Mechanical Engineering majors currently enrolled in UNR’s Manufacturing Process course), were given an overview of HVA’s current product line of vacuum valves and related components as well as a discussion of HVA’s key market segments. They also received a tour of HVA’s 60,000 square foot facility including a demonstration of HVA’s state of the art equipment. At the end of the tour the students discussed HVA’s manufacturing process with key members of our staff.